Welcome to Savoir Faire, the Junior League of New Orleans’ Etiquette Column. With this column, our aim is to help navigate through the oftentimes puzzling world of manners and propriety with an eye towards modern issues. 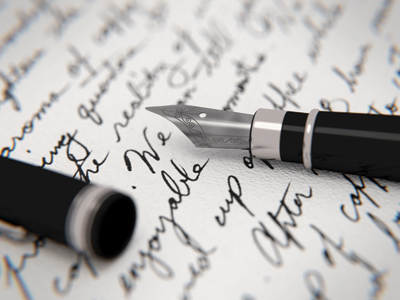 In our inaugural edition, we are tackling the topic of hand-written versus digital communication. It’s a wonderful feeling when someone takes the time to put pen to paper and express their gratitude. Still, with modern technology so easily accessible, email can be a viable alternative as well. How are you to decide which medium to use? When it comes to thank you cards, purists will argue a handwritten note is the only way to go. It adds the human touch an email can’t convey. On momentous occasions such as weddings, births or graduations, it’s de rigueur to follow the old fashioned rules; however, rules can be bent. Junior League Sustainer Anne Milling noted, “I frequently say thanks by email when I want someone to know I appreciate their attending a meeting, a community event, a casual community lunch or even a dinner party hosted by close friends.” It’s important to note that the primary benefit of email is its efficiency. “If it’s important that the recipient gets the thank you immediately, then an email can be effective,” added JLNO Active member, Allison Plaisance. Okay. Let’s talk about l’éléphant in the room: birthdays. Facebook is passé. A text is so everyday. This is their once-a-year-it’s-all-about-me day! Send a handwritten note or a personalized greeting card via snail mail. If you’re feeling intrepid, go for the gusto. Enclose your favorite photo together from the past year or include a gift card to their favorite coffee shop. You can even draw a sweet sketch on the envelope. No matter which technique you opt for, write from the heart and your kind words will always be cherished. P.S. : If this column has inspired you to catch up on your correspondence, here are a few stores in NOLA that are a writer’s delight!